We’re definitely getting in the holiday spirit here at Jaanuu HQ. And as we think about all of the things that we are grateful for, one thing keeps rising to the top. And that’s you, our Jaanuu fam. To put it simply, nothing compares to you. It’s hard to put into words how much you inspire us every single day — but we decided to give it a try. We are constantly inspired by you, your dedication to your work, and your compassion for others. But the truth is, we don’t tell you this enough. 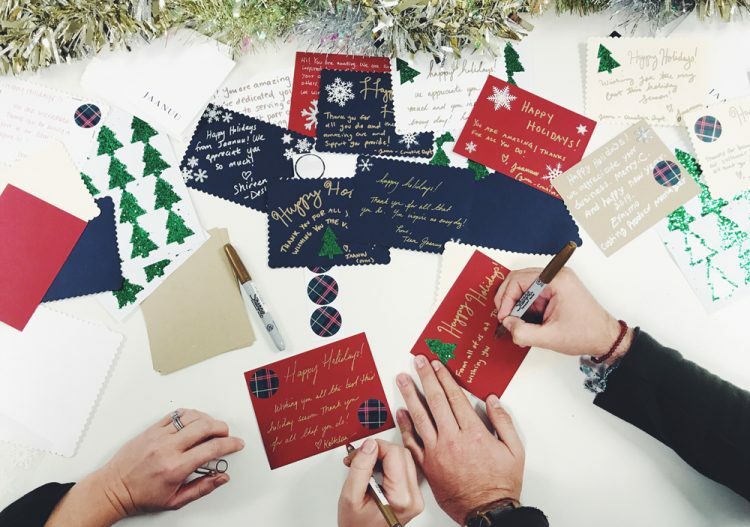 Everyone at Jaanuu HQ got together to write holiday notes to you … and you might just receive one in your next Jaanuu shipment! Throughout the month, we’ll be visiting our warehouse to place these cards in outgoing boxes. For those of you who might not receive a physical note, we still want you to know how important you are to us. So here are just a few notes from our team to you. Thank you from the bottom of our hearts for being part of our Jaanuu fam. We couldn’t do this without you. Wishing you and yours a very happy holiday season. To stay up to date on what we do at HQ, follow us on Instagram.